Ratings Results of Interest: On Wednesday last week, FX’s horror comedy mockumentary What We Do in the Shadows had its series debut and pulled a 0.21 rating based on the same day viewing for the 18-49 demographic with 617K total viewers. Those are okay numbers for a comedy on one of the basic cable channels these days, especially if it is not too expensive to produce, and FX execs will be paying attention to the delaying viewing stats. We will have to see how this one tracks, but if it does not slip too much it could some back for a second season. Over on Syfy, Happy! returned for its second season, but network execs are certainly not happy with the early returns for that one. It posted only a 0.11 rating with 337K total viewers which puts it at a series low and down by 48% from its first season average. This one may see some gains in delayed viewing and Syfy’s parent company does have an ownership stake in the show, but it is definitely on the low end of acceptable numbers for its network and I am starting it off On the Bubble. On Sunday, The Walking Dead improved to a 1.9 rating with five million total viewers for its Season 9 finale. That marks a low-point for a season finale for that show, but it is still doing well enough that it should stick around beyond its tenth season which will debut in Fall. Over on Starz, American Gods remained low at a 0.10 rating with 336K total viewers. It has already been renewed for a third season, but that will likely be its last. On Thursday, The CW’s Legacies improved to a 0.3 rating with 925K total viewers for its season finale even though it only had a repeat of Supernatural as a lead-in. That show has already been renewed for a second season. On Tuesday, The CW’s Roswell New Mexico remained at a 0.2 rating with 916K total viewers as it continues to get little help from The Flash as that show has been frequently preempted or in repeats of late. The story continues for FIREFLY with the new novel Firefly: The Magnificent Nine. Buy it from Amazon in Hard Cover or Kindle format. On Monday, AMC’s Into the Badlands slipped in the ratings as expected with no lead-in from The Walking Dead. It dropped 60% to a series low 0.17 rating with 591K total viewers. That will do nothing to get AMC execs to change their minds about cancelling the show. News Roundup: Netflix has renewed The Dragon Prince for a third season as confirmed at WonderCon, and The Umbrella Academy has been renewed by that streaming service for a second season. Netflix has also given a second season order to its horror series The Order. YouTube has cancelled its sci fi series Origin after one season but its producers are shopping it around to other venues. In development news, HBO is developing the epic fantasy series Asunda based on the comics from Stranger Worlds, and the upcoming Dark Tower TV series on Amazon will be a reboot of the franchise. You can read about those and more development at this link. Legacies (CW, Status – Renewed): This show did not have great same day ratings in its first season, but it was one of the most watched shows in digital viewing on the network’s website and app. Since The CW has adapted to the 21st century better than the other broadcast nets, it factors online viewing more heavily into its model and has renewed it for a second season. Roswell New Mexico (CW, Status – Renewal Possible): This one has started out with decent numbers for the fifth place network and I expect it will also perform well in digital viewing. It did not get included with the network’s renewal of its Fall shows, but it just joined the schedule at Mid-Season and looks to be on target for a second season nod. What We Do in the Shadows (FX, Status – Renewal Possible): This show debuted with modest ratings, but perhaps still good enough to support a comedy series on one of the cable networks. If it does not slip too much in the coming weeks, it could survive to a second season. 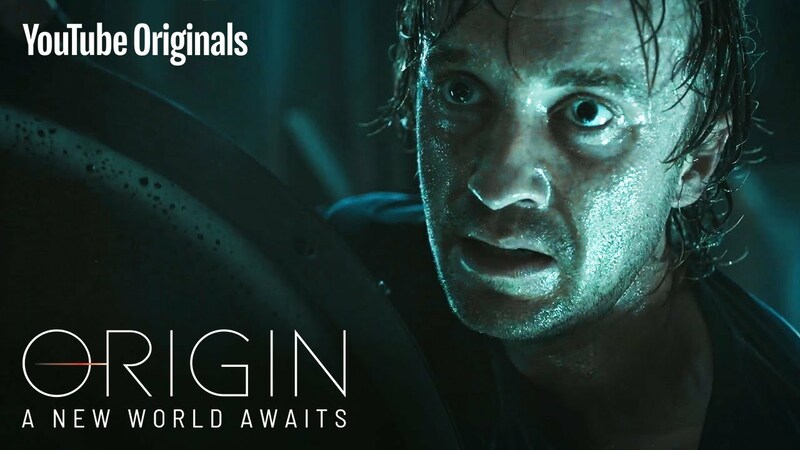 Origin (YouTube, Status – Cancelled): YouTube has quietly cancelled this show as the streaming service appears to be shifting its strategy for scripted programming and moving away from big budget originals. The show’s producers are shopping it around, so a Call to Action from fans can certainly aid in that effort.